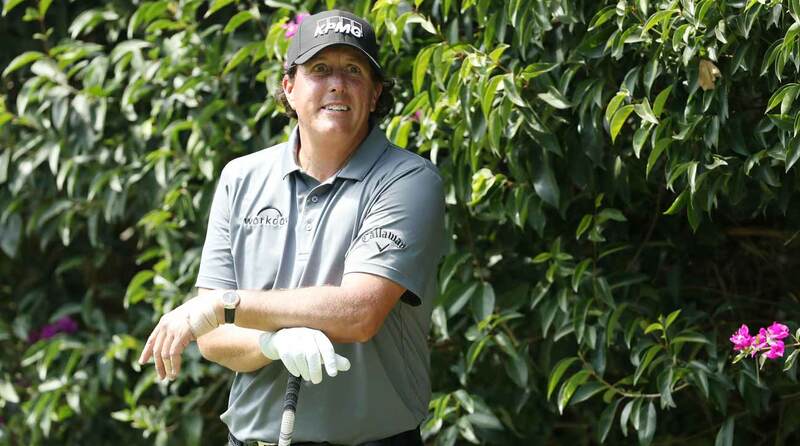 Phil Mickelson still isn’t sure whether he’s going to tee it up in next week’s Players Championship. A day after a rollercoaster four-under 68 at Bay Hill that included a bizarre right-handed encounter with an out-of-bounds fence, Mickelson struggled to a second-round 78 that put him on the edge of the cut line and had him feeling uncertain about his game and his schedule. “I’m going to go play a practice round Tuesday, I’ll play nine and take a look and, I mean, I want to play it, so I would most likely — but if I hit it like this, it’s pointless, so I have to figure something out,” Mickelson said after his round. I'm going to go play a practice round Tuesday, I'll play nine and take a look. He explained his reluctance to commit to the event as a combination of how he’s playing and of the course itself — and cited the Masters as a counter-example. Phil Mickelson's Players Championship decision will come on his own terms. Mickelson’s Friday included three bogeys and two double bogeys against just a single birdie. He hit seven of 14 fairways, nine of 18 greens and lost over two strokes to the field on the greens.